Tetsuro Ozawa opened this this tiny, nine-seat Japantown restaurant in 2016. 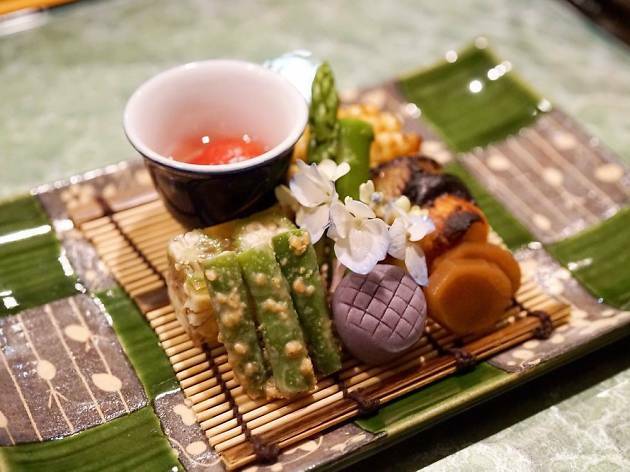 The $100 kaiseki menu—the only service of its kind in the city—lives up to the hype. Dishes change frequently, as Ozawa stages the menu according to the freshest daily fish. 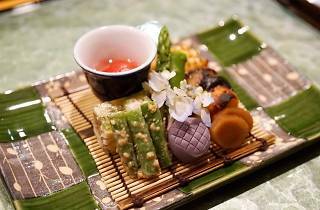 The meal follows a carefully considered progression, starting with sakizuke (small appetizer), followed by hassan (a seasonal appetizer) soup, mukouzuke (sashimi), yakimono (a grilled dish), sunomono (a vinegared dish), osyokuji (rice, miso soup, and pickles), and, finally, dessert. The preparations are surprising and inventive, from the barracuda sushi to the sweet tomato soaked in wine and brandy.